Remotely Operated Vehicle: Deep Ocean Engineering Phantom HD-2+2, 1000 depth capacity, 1100 ft. umbilical, high resolution color camera, video output to 50” color plasma monitor in dry-lab, digital video recorder, lateral thruster, and Hypack-Trackpoint navigational system, forward looking sonar, manipulator arm. Floodable tank amidships (1200 cu. ft.) for adjusting ballast, and aft tank (70 cu. ft., below deck) for holding live fish. 2-boom system for lifting instruments overboard, trawling, dredging, and plankton work. Safe Working Load (SWL) for main boom and winch set to 4500 lbs. Main boom has under-slung main wire run through a hydraulically movable trolley system. High volume wash down pump. Additional seawater system pipes undisturbed subsurface water from the ship’s bow to the wet lab. Two Dugas trawl winches (to support single and double wire trawling), each with 400 fathoms wire rope. Hydraulic trawl reel. Extensive safety equipment including 30 person and 6 person (offshore) life rafts with hydrostatic release. 8 survival suits. Nets and doors (2.5m Fishbuster) for one and two wire trawling (midwater and bottom). Acoustic net monitoring system for quantitative assessment of trawls. Second trawl system (single wire) utilizing smaller doors and trawl (otter trawl). Hydro-winch with 800m Armagraph (.332) conducting cable for real-time data collection. CTD (temperature, salinity, dissolved oxygen, and fluorescence) and 12 Niskin bottle carousel. 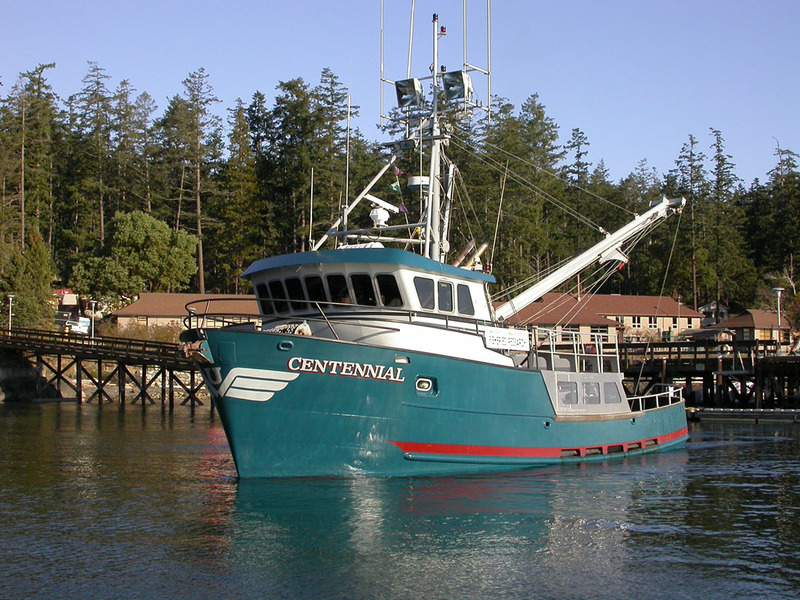 For R/V Centennial and related charges, please contact Derek Smith. 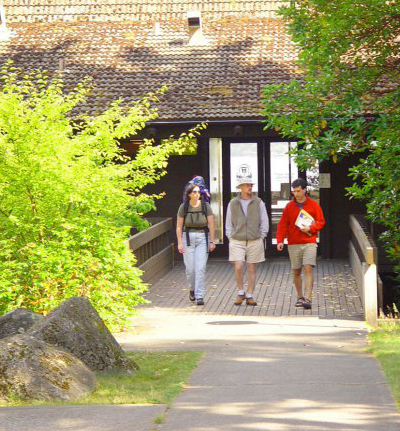 For other boat use rates and facilities rates, refer to our Standard Researcher Rates or, if paying expenses directly from a University of Washington budget, our UW Budget Researcher Rates.